It is extremely exciting (and a bit terrifying) to be one of 12 artist selected to take part in the Art Gallery of Mississauga's upcoming Art Crit. What a fabulous opportunity to receive professional feedback on my work at a perfect time to benefit phase 2 of my Harrison park series! I finished Bone Trees, the fifth of the square foot pieces in late November. 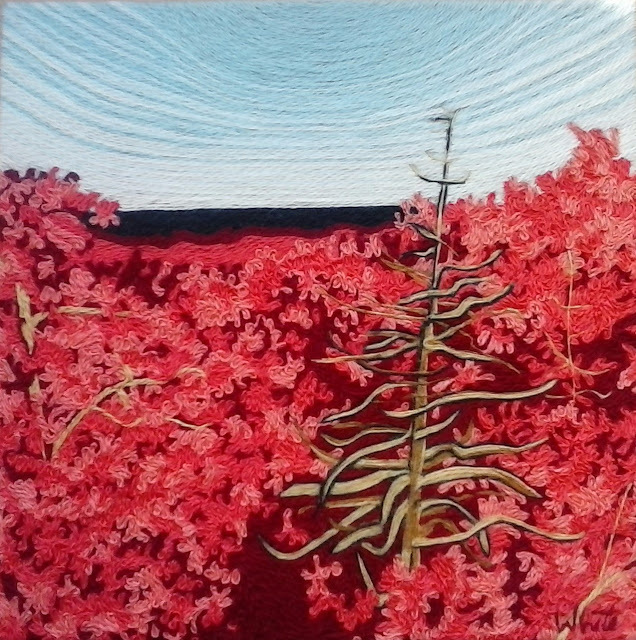 It is inspired by the view from Inglis Falls and traces the path of the Sydenham River through the forest to Georgian Bay. I took a risk using the pink tones, hoping to convey the mood of this view on a brilliant day in July. 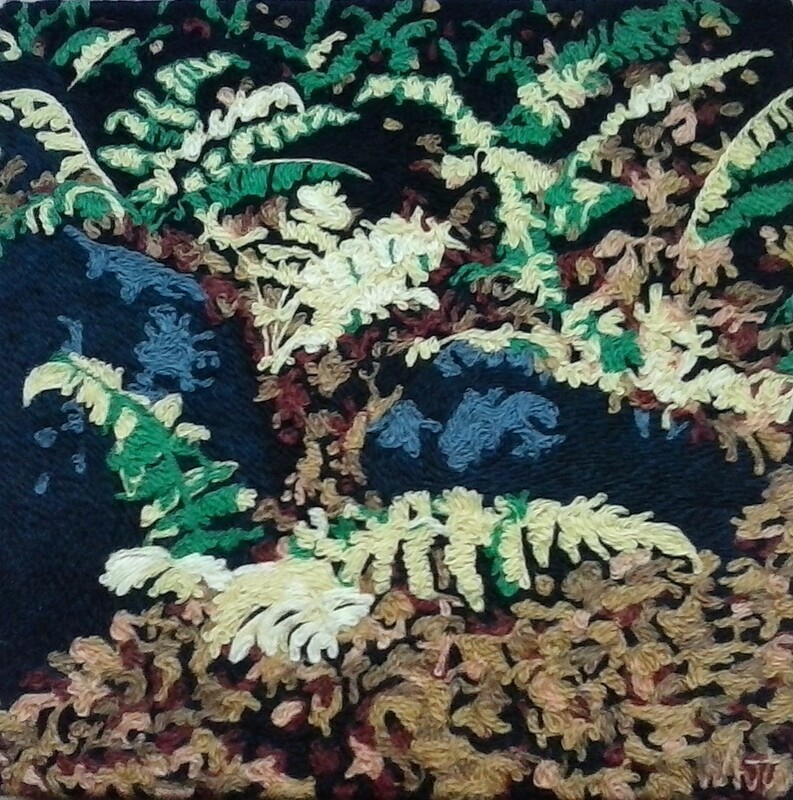 Escarpment Ferns was finished in January, meaning that the phase 1 goal of creating 6 square foot pieces is complete! Phase 2 of working at least 4 of the square foot pieces into larger 3 foot x 3 foot images is underway, which is what makes the AGM Art Crit such great timing. I look forward to receiving some constructive criticism that I can employ to make the large pieces even better. A forum for artists at any stage of their career, working in any medium, to put forth a body of work, completed or development, for critique, discussion and feedback by artist peers and members of the arts community... participating artists are only asked to be open to (and interested in) considering reactions to their work by the group, which will always be done in a supportive, constructive and casual environment, but could at the same time be challenging. New opportunity is often scary and I owe the fact that I even applied for the Art Crit to a 10 day 'Train the Brave' challenge by Margie Warrell that I followed in the new year. Just submitting the application got my heart pounding a little bit. My deadline for completion of the series is August, when I will be mounting the finished products as a solo show at the Rotunda Gallery in Kitchener City Hall.